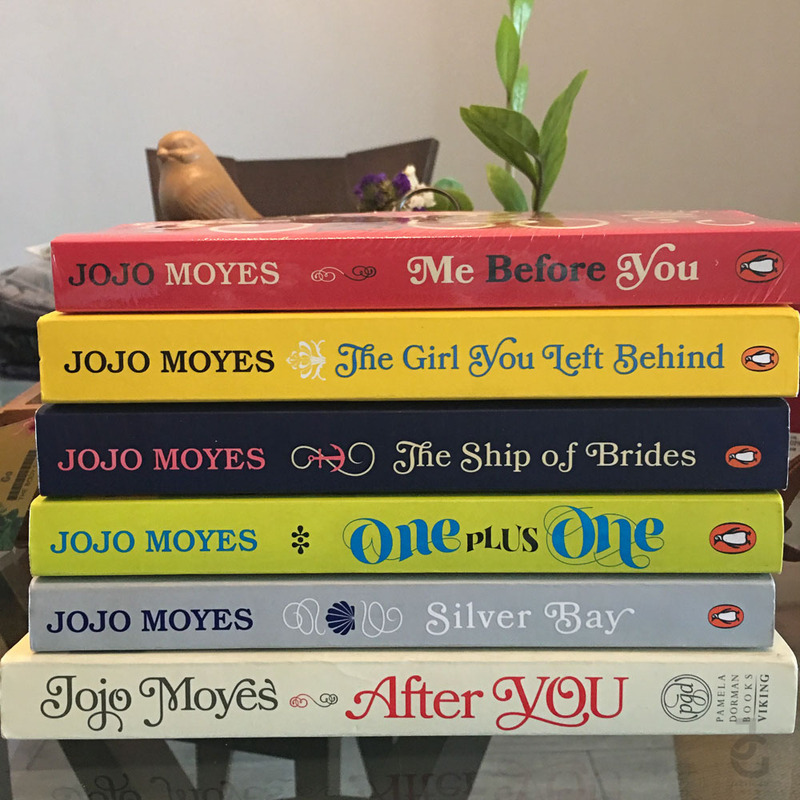 Jojo Moyes books! Aaaah. Problem is I don’t tote it around with me. I read it little by little at home whenever I can. I just make do of the ebooks I have on my phone. A few weeks back, my friend Eliza busted out her Kindle while we were at Kidzania waiting for our kids at the Parent’s Lounge. ELI: It’s a Kindle Fire. I got it at Amazon at $49.99! A week after placing my order, it arrived at my doorstep! ME: What $50?! (this over Kylie Lip Kit, right?!) Uuuuy pwede! Ay, wait you got it that fast?! Wow! I want! But I don’t have an Amazon account and I don’t have any US address. Hassle naman to go through everything, use my cousin’s address and have him ship it here. Medyo complicated! ELI: Anu buuuuzzzz, I used Shipping Cart! So easy just register, pay and wait for your package! ME: Wait, what? Okay, okay! I’ll check Amazon first then check Shipping Cart. ME: Add to cart. Add to cart. Add to cart. Register at Shipping Cart. Done! OMG Eliza! You are such an enabler!!! I wanna read-on-the-go and with Kindle Fire, I think I may have the time to do so! 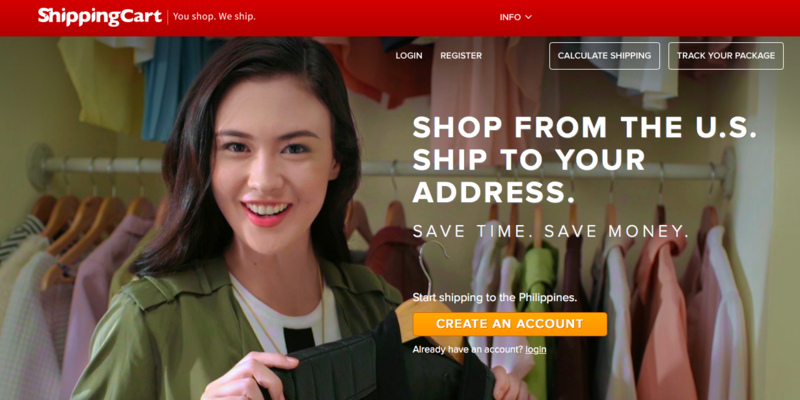 Shipping Cart through a web application provides customers with a convenient means to ship goods purchased from U.S. online stores to their selected addresses in the Philippines by providing a free U.S. address and an intuitive interface that enables them to simply consolidate, pay for shipping, and ship their goods with utmost transparency and ease. Shipping Cart delivers goods that have been shipped from the U.S directly to a customer’s address. It only takes a few minutes to sign up at Shipping Cart. All I had to do is fill out the necessary basic information and they will generate your U.S. address for you. Remember, register first to Shipping Cart before you create your Amazon account so you can put your U.S. address in the latter’s site when you sign up. Take note that Amazon is not the only online site you can shop at. Once I signed up at Shipping Cart, I can start shopping to these online sites. Not just Amazon, guuuuys! Hello eBay, Net-A-Porter, J.Crew, Macy’s, Under Armour! UGH! Once I’m done with Shipping Cart, I went to Amazon’s site and registered. Then I added my U.S. address (generated by Shipping Cart) as my Amazon shipping address. 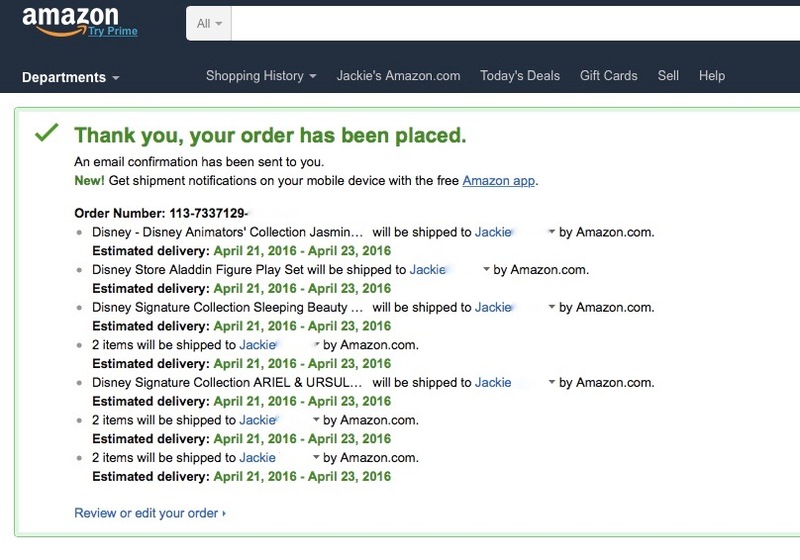 Shortly after creating both accounts at Shipping Cart & Amazon, I started shopping! OMG, guys super easy to shop especially if you’re eyeing at a particular item already. Since Kindle Fire is on top of my mind (and really the reason why I set up account at Amazon) that’s the first thing I looked for at the site. Pak! Ayan na! Add to cart, check out! 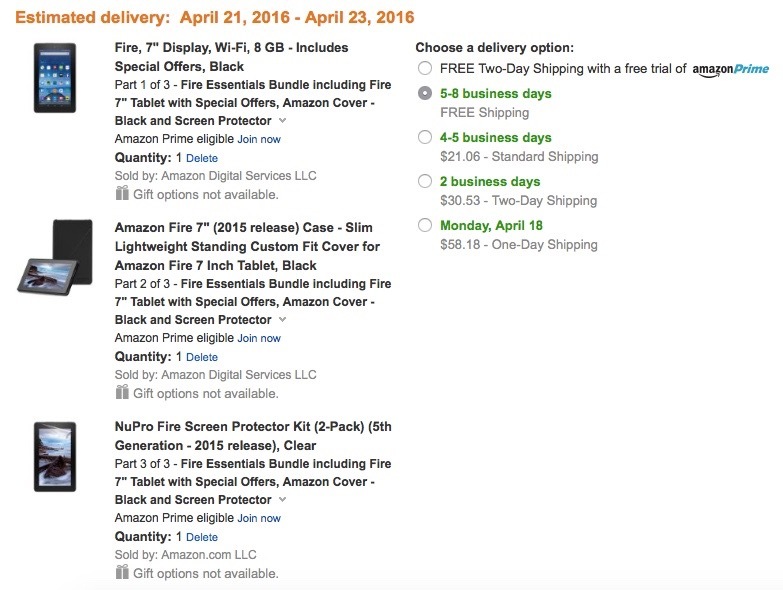 I chose the FREE SHIPPING option of Amazon which was about a week-long wait. After confirming order, I patiently waited for confirmation from Amazon. Estimated delivery to my U.S address was a week after I placed my order. I’ll share the update of my shopping experience at Amazon on another post. 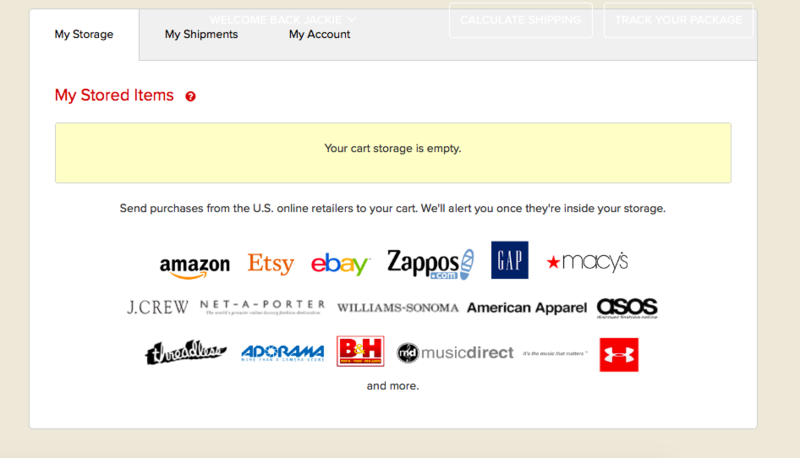 But for now, if you’re interested to shop at U.S online sites, consider using Shipping Cart. Here’s an overview of what Shipping Cart is. It gives you a U.S. address (not P.O. box) which you can use to ship your items from various U.S online shopping sites. Whether you shop in different sites or in different days, it will consolidate your items for you. Receive updates of where you package is via your Shipping Cart account. You also get email notification. Processing update: a photo of your item will be uploaded in storage with specs. Checkout details: payment confirmation/status of your shipment. 10 business days via air: Chargeable weight at US$5.99/pound. No rounding up. 45 business days via sea: Chargeable weight at US$1.12/pound. No rounding up. Door-to-door delivery nationwide. Flat rate of only US$10 for Luzon, Visayas, and Mindanao. Higher insurance coverage. Your shipments insured up to US$500. Less limitations on air cargo. Ship sensitive items with special handling for US$8.99/pound. No rounding up. I’m try to buy something in US. Kaya Im trying to learn new ways to save some money. included na din ba dito yung mga customs tax and other charges kung meron? Kasi yun yung napakalaking charges shopping from us to philippines. Hi CJ! No added tax when I received my box on my doorstep. But I believe whatever US site you shop at, they’ll add tax na to your order.